THE LINK: more than just a contest, a springboard to a career in Beachwear Underwear and Athleisure fashion. The finalists will be invited to Cannes for MarediModa, the international event dedicated to beachwear, lingerie nd athleisure fabrics on that occasion they will have an exceptional visibility in the presence of leading fashion houses. All finalists will have at their disposal a showroom a personal fashion show and a professional photoshooting. Design and submit your mini-collection of beachwear, lingerie or athleisure. 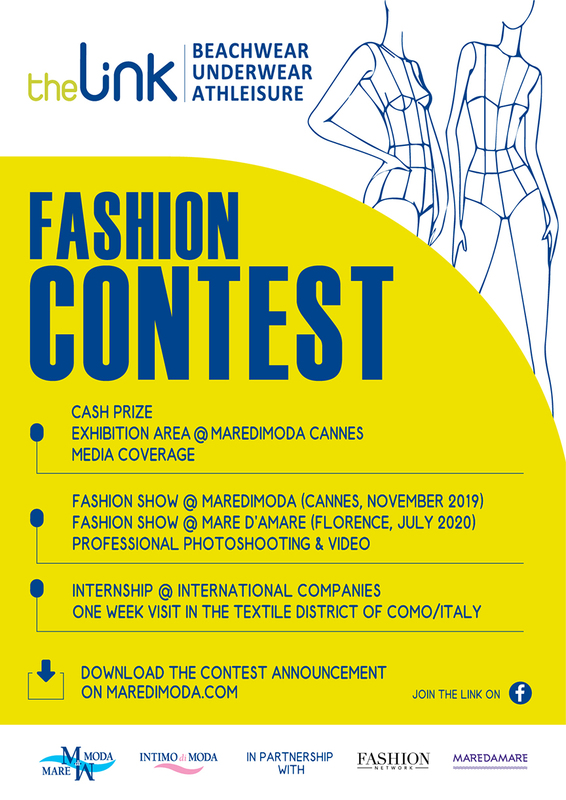 The contest is free and it’s open to all fashion design students coming from European schools (max age 26 – birth year 1993).